Czeslawa Kwoka (pron: “Ches-wah-vah Kvoh-kah” ) was born in the village of Wólka Złojecka in south-eastern Poland, about 64 km from Lublin, in August 1928. She died in Auschwitz in March 1943. Czeslaswa could still be alive today were it not for her being visited by such unspeakable evil. She would now be in her late old age, her long life behind her, comforted and cared for by her family. Instead, a few months after arriving in Auschwitz, this beautiful girl was dead. It is not known how she died. 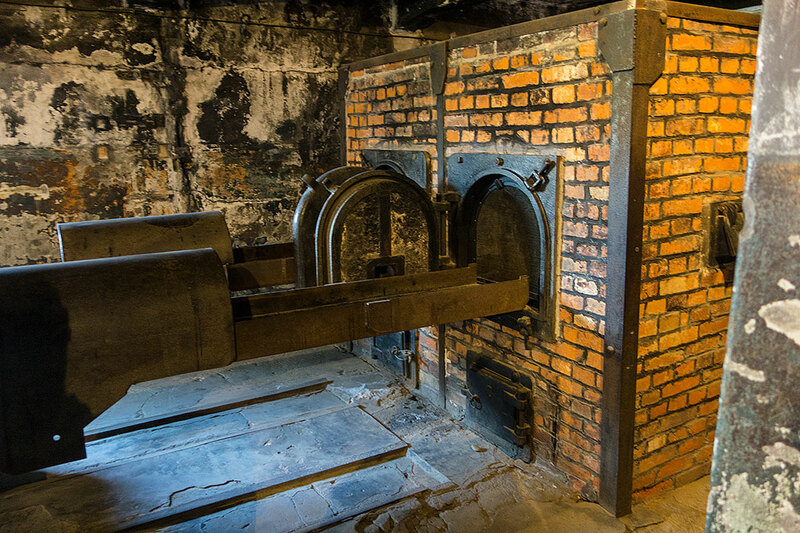 It may have been starvation, she could have been shot for some misdemeanour, or, when she was no longer fit for the back-breaking work she was forced to do, gassed and her body burned in a crematorium. 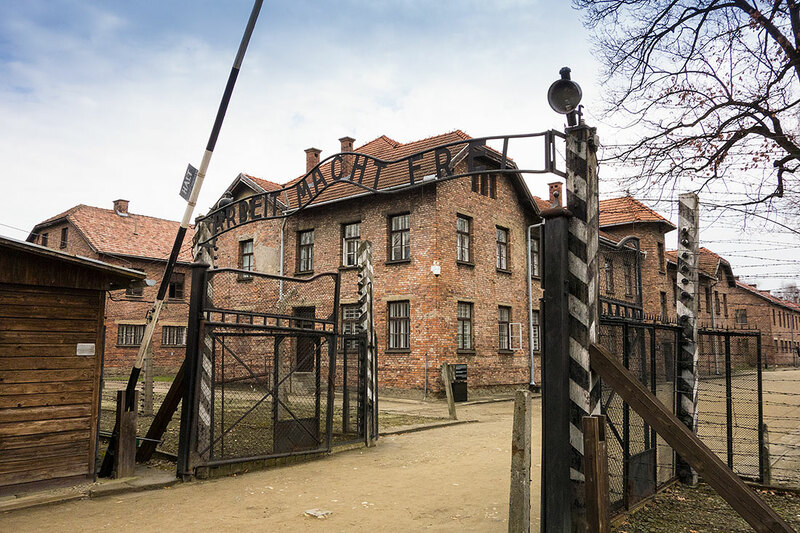 The entrance to the Auschwitz camp with the cynical sign “Arbeit Macht Frei” – “Work Makes You Free” – over the gate. 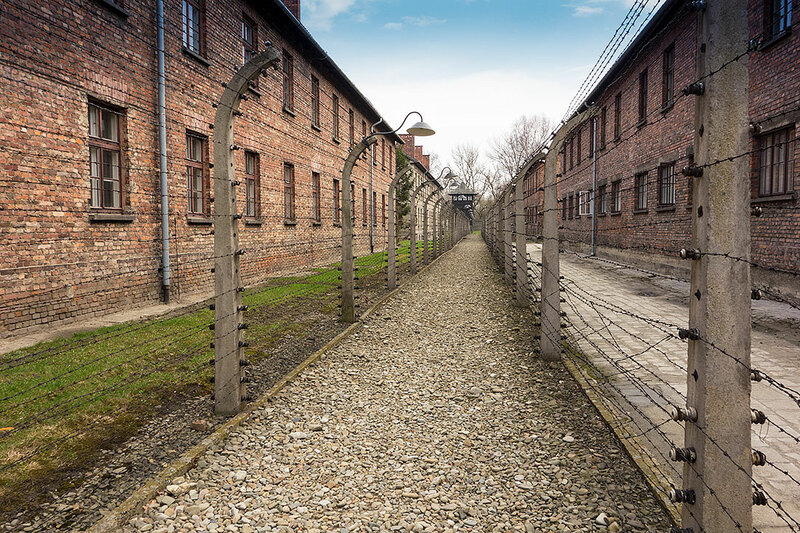 The Auschwitz-Birkenau museum is about 60kms west of Krakow. It is one of the two “must-do” trips for anyone visiting the city which is among the most beautiful in Europe. (The other attraction is the Wieliczka Salt Mine, also, like Auschwitz-Birkenau, a UNESCO world heritage site.) This is not to demean the significance of Auschwitz-Birkenau by reducing it to just another sight to see on the tourist itinerary. 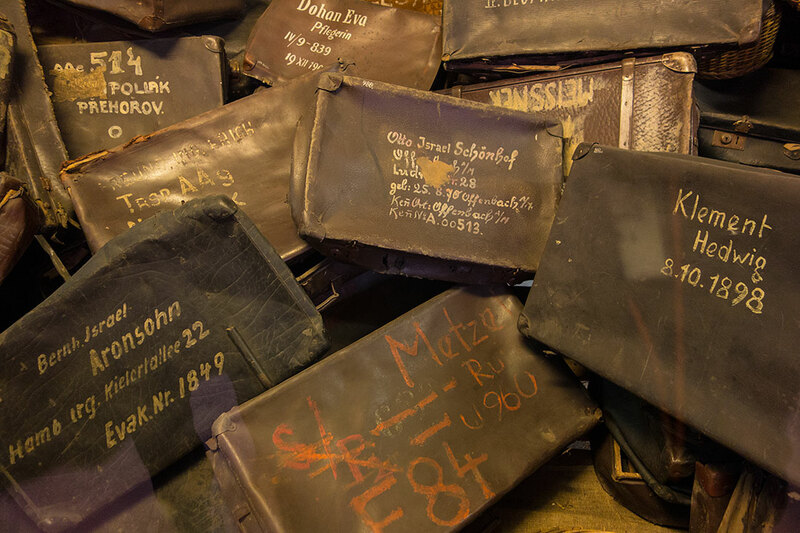 It is a compelling place, THE symbol of The Holocaust, and you would not be human if you were not affected by what you would see and hear there. 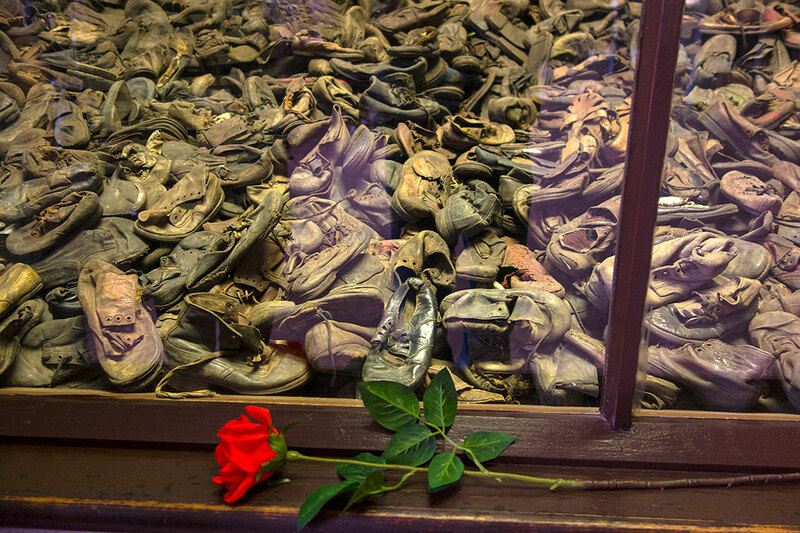 I had been to Auschwitz-Birkenau 35 years ago and I was wondering how it had changed in the meantime. There have been reports of conservation and funding problems and I seemed to recall suggestions that it was actually sinking into the ground on which it was built. None of this was apparent on my recent visit. The buildings in Auschwitz looked as substantial as ever while the Birkenau part of the complex, a 5 minute drive away, was as I remembered it. 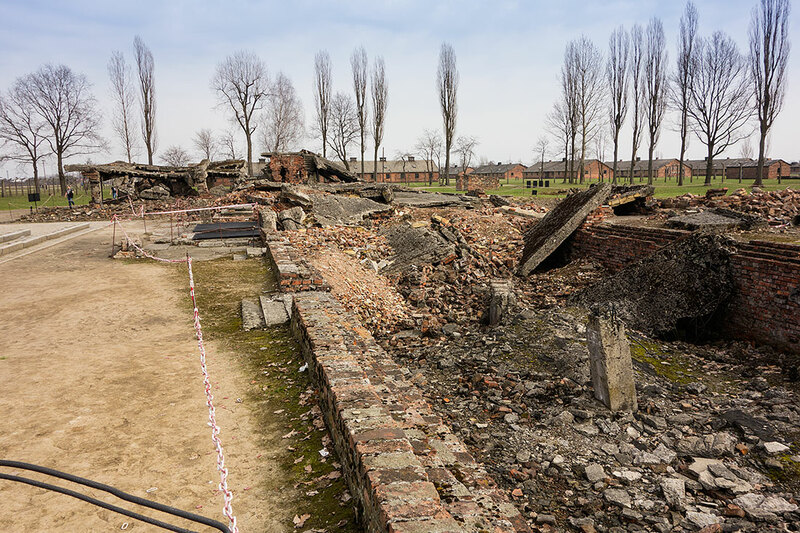 There are relatively few extant buildings in Birkenau as most of them, unlike as in Auschwitz, were built of wood and were burned by the Germans before The Liberation. The foundations and brick and concrete parts are still extant for the most part. You can only visit with the accompaniment of a guide. You are supplied with a headset and receiver – an innovation from my last visit – which allows the guide to speak in a low voice and yet everyone in the group is able to hear. This helps to maintain the overall hushed tone which, given the content of the narration, the exhibits, the pictures and the photographs is entirely appropriate. 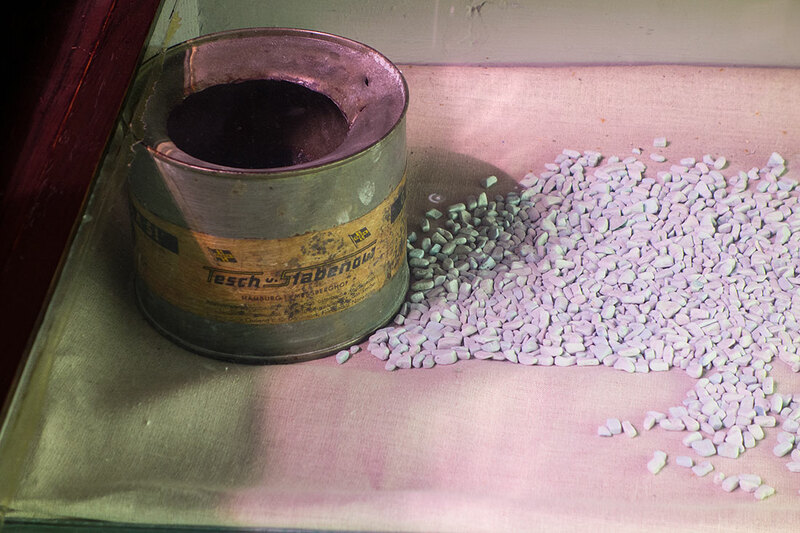 Zyklon-B pellets, a cyanide pesticide, used to gas prisoners. Shoes taken from prisoners on arrival. Photos of some of the women prisoners. 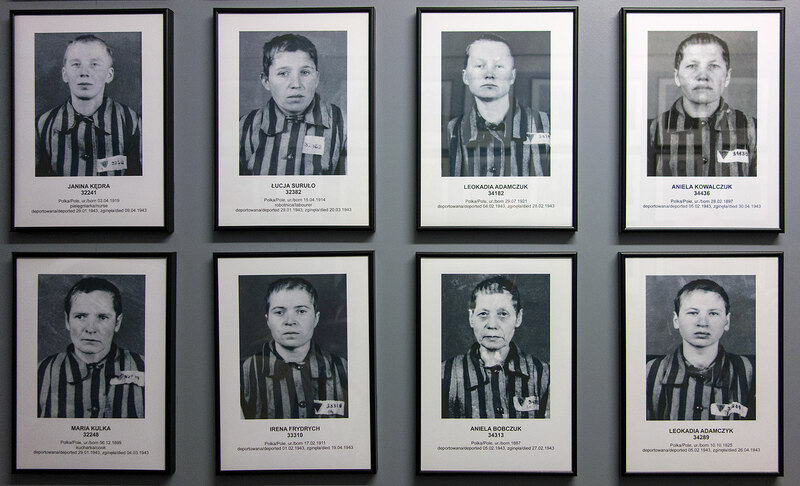 The Germans stopped photographing prisoners after 1942 as they were unrecognisable due to starvation after a few months. Note that their hair was shorn on arrival. It was used to make “hair-cloth” which was used for various purposes including the lining of German Army coats. 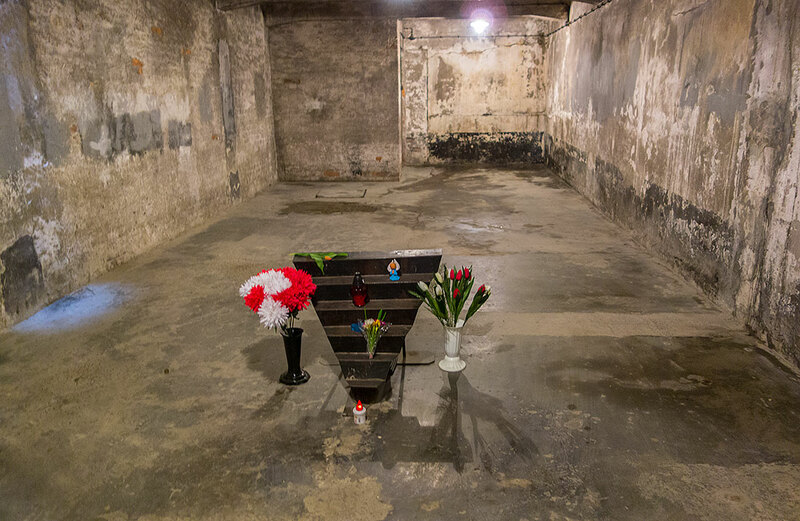 A chamber where the bodies of gassed prisoners were kept before burning. 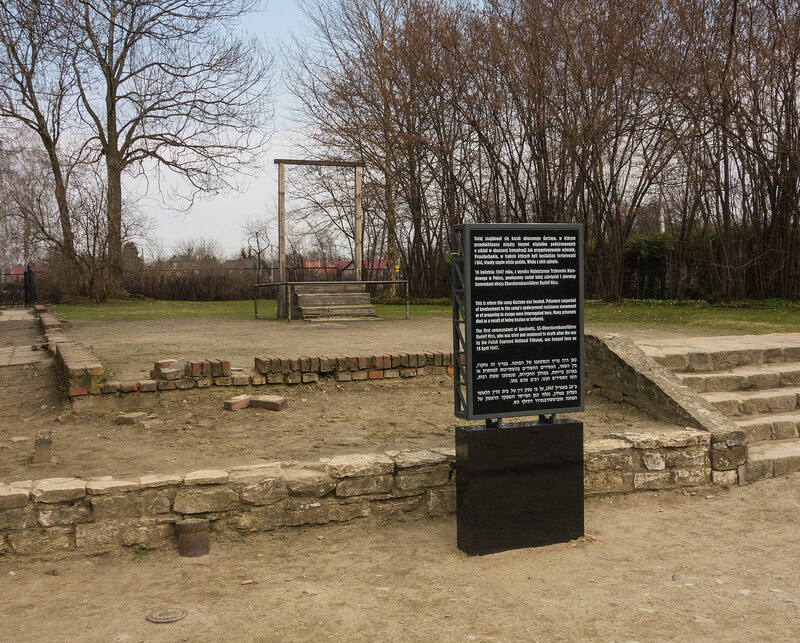 The gallows where Rudolf Hoss, the commandant of Auschwitz, was hanged in April 1947. 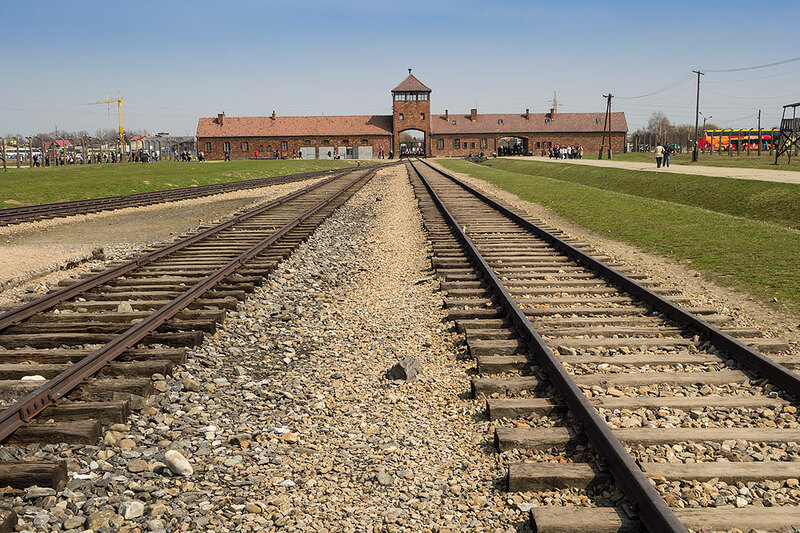 After the Auschwitz part of the visit is completed visitors are bussed to the Birkenau complex which is about 5 minutes away. 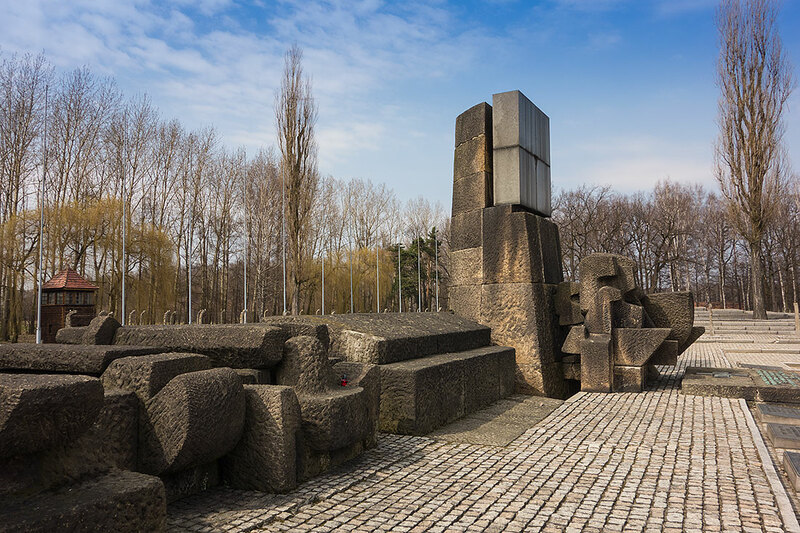 This is where most of the killing was done, where prisoners were sorted into two groups when they disembarked from the cattle wagons that brought them to this dreadful place – one group comprising those who were fit to work, the other – children, pregnant women, old and infirm people. 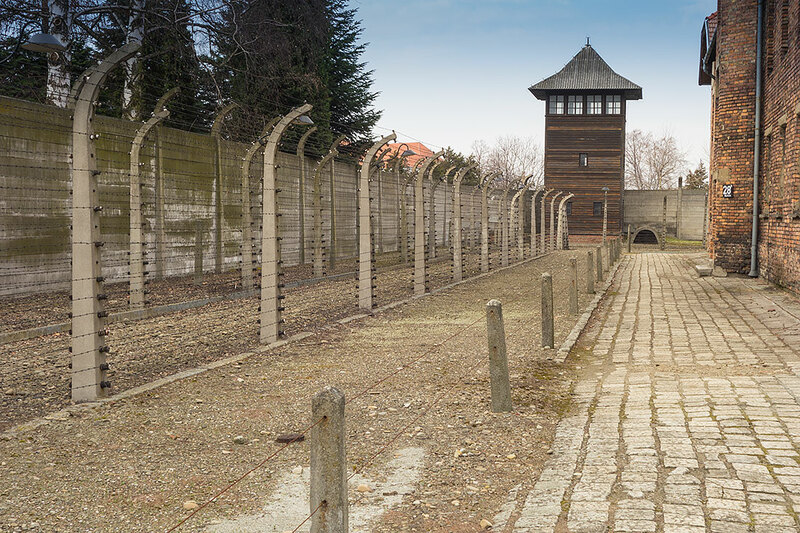 The former were sent to the wooden barracks while the latter were immediately marched to the gas chambers. The Administration Block at Birkenau. 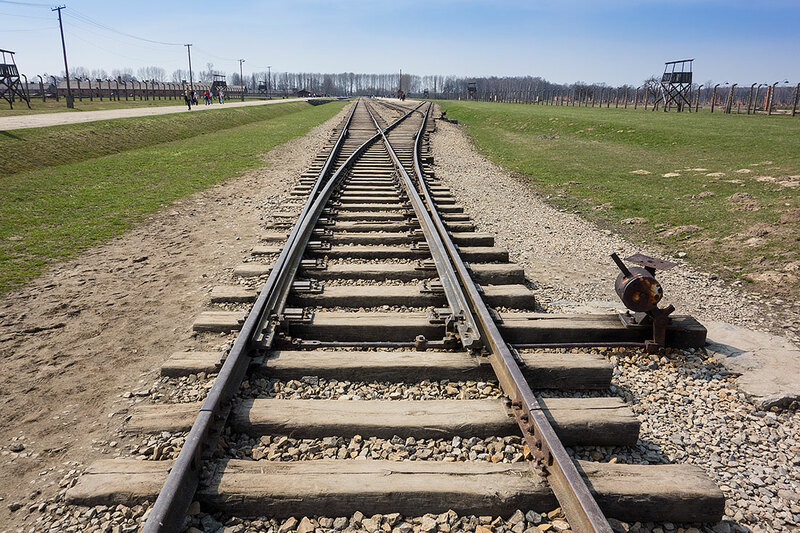 The final destination of prisoners – the rail head at Birkenau. 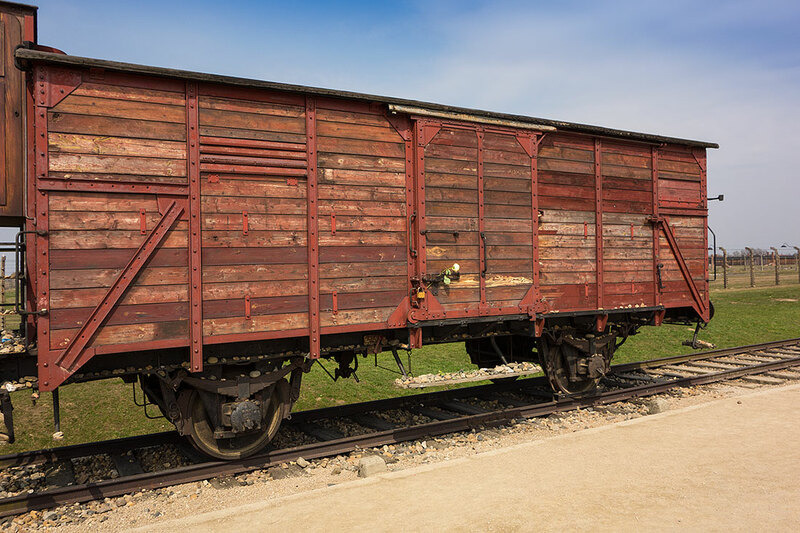 A cattle wagon of the type used to transport prisoners from around Europe. 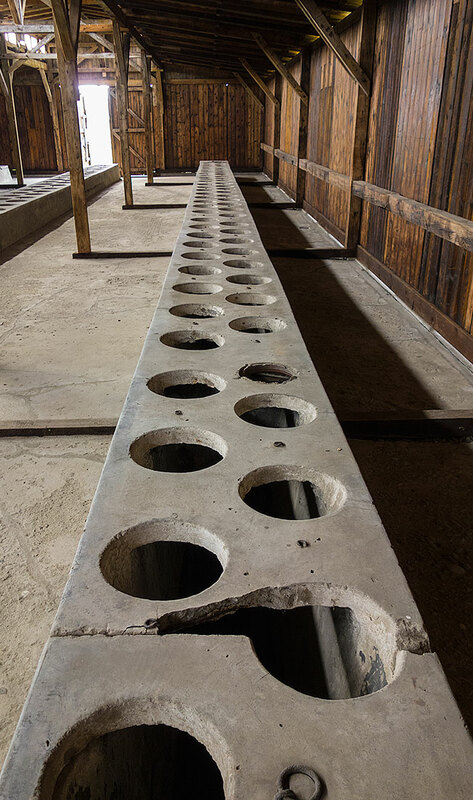 There were no sanitary facilities and prisoners, 150 to a wagon, could only breathe through the tiny airholes. They were kept locked in for the duration of the journey which could take up to 8 days in some cases. 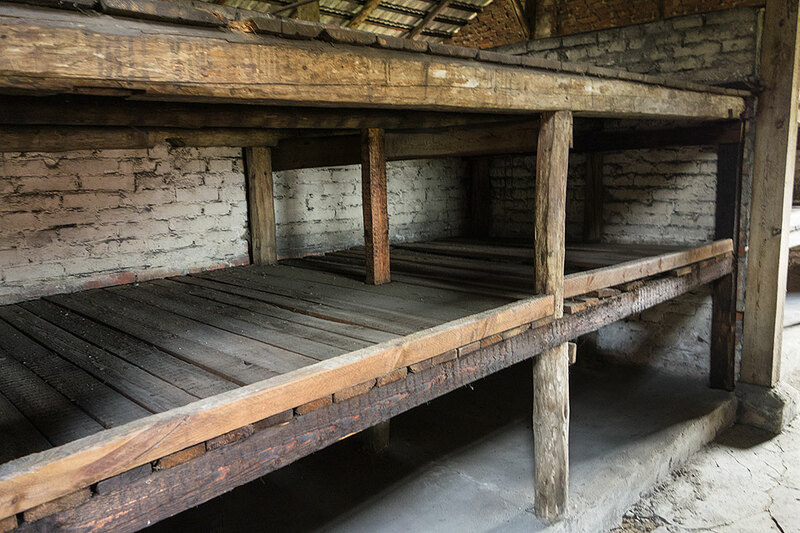 Typical sleeping compartment in one of the Birkenau barracks. Communal toilets. 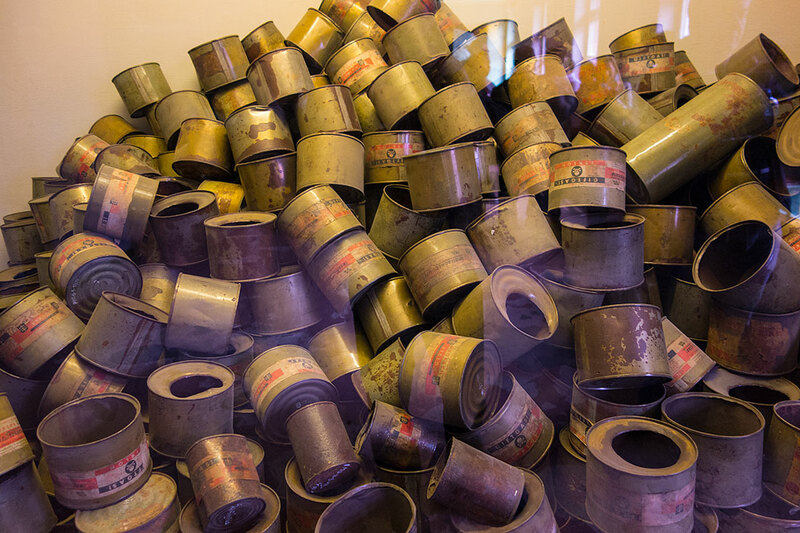 The waste had to be cleaned out by prisoners. This was considered a choice job as it was indoors and out of the bitter winter weather. The remnants of one of the Birkenau crematoria blown up by the Germans a few months before The Liberation. 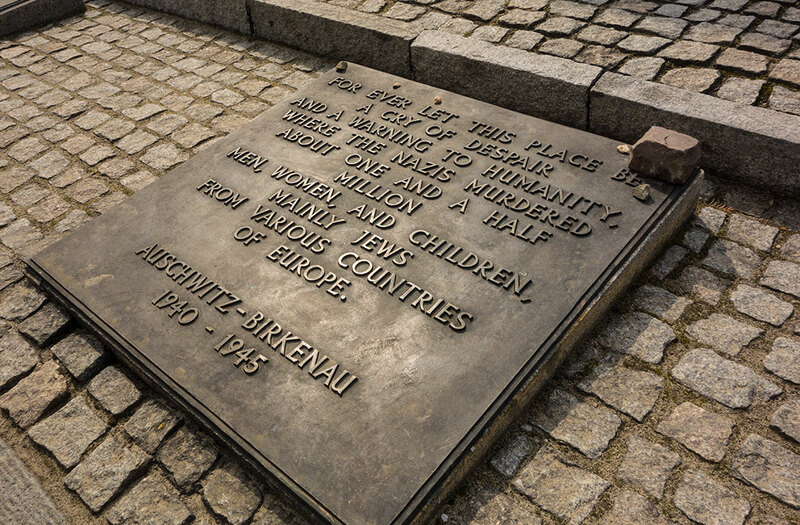 The memorial at Birkenau to those who died. Rest In Peace Czeslawa Kwoka and all the people who died here. At the western end of the Black Valley in Killarney is a ruined cottage generally described as Drumluska Cottage after the townland it is in or, according to the local people, Kissane’s Cottage after, presumably, the last inhabitants. 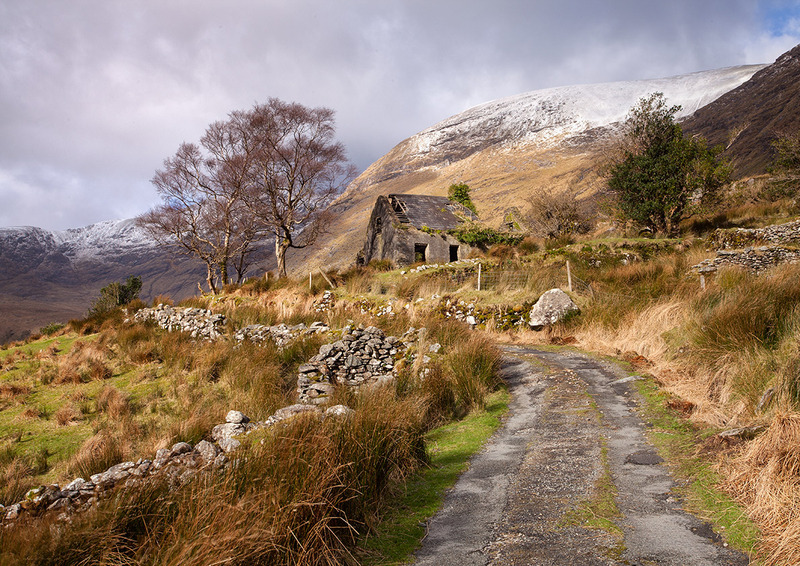 It has long been one of the “must photograph” places for Irish landscape photographers. I think I have a few Kodachrome 64 slides of it in my long-neglected slide collection, photos that I took back in the 1970s. 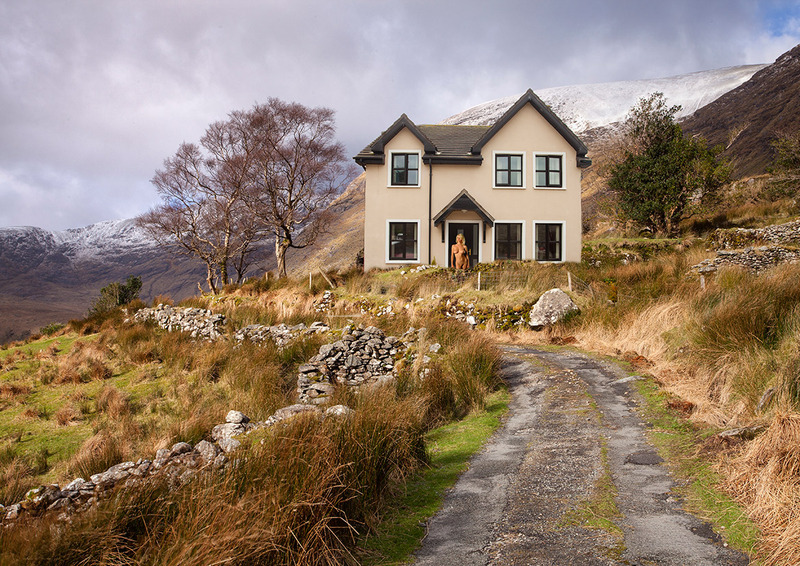 And it is easy to see why it is so popular: it is in a stunningly beautiful location and the combination of a ruined building fronted by a winding pathway and set off by a majestic mountain backdrop is too much to resist. You just *have* to shoot it even though you know as you you do so that your photographs will end up looking just like thousands of other photos taken over the years. Veteran Waterford photographer Seán O’Brien told me an amusing story that illustrates that point: sometime in the 70s a fellow Waterford Camera Club member won first prize at the Southern Association of Camera Clubs inter-club competition with a colour print of the scene. At the time he shot it his wife photographed it using slide film and in the following year’s competition she entered it and won the colour slide section. This caused some rumblings of discontent from other competitors who suggested that the same original photograph was used for both competitions. The upshot of it all was that the Committee of the SACC ruled that the cottage could never again be entered in competition by the Waterford Camera Club! I think that’s a definite improvement! Still, I shouldn’t mock it. It’s probably only a matter of time before some modern building will indeed be built on the site. In fact, I’m amazed it hasn’t happened already. I doubt though if visitors will ever be met by such a fine looking resident. Currently on exhibition (until 26th April) at the Cork County Libary, Carrigrohane Road, Cork City is “Sacred Presences”, a collection of icons by two iconographers from Crete, Nikolaos Griniezakis and Eftychia Ilia, and one from Ireland, Fr David O’Riordan (see my previous post on the latter.) It was organised and curated by Bernadette Burns. The exhibition opened to a capacity crowd on 27th March. It was launched by Peadar Ó Riada in the presence of the Mayor of County Cork, Barbara Murray. Peadar Ó Riada opening the exhibition. Virgin Mary. 95cm x 73cm. Tempera and 24 carat gold leaf on marine wood. St John the Baptist. 45cm x22cm. Tempera on very old wood. Prophet Elias. 40cm x 30cm. Tempera and 24 carat gold leaf on wood. Virgin Mary “odigitria”. 102cm x 35cm. Tempera and 24 carat gold leaf on very old wood. Christ. 102cm x 35cm. Tempera and 24 carat gold leaf on very old wood. St George with Horse. 40cm x 28cm. Tempera and 24 carat gold leaf on wood. Christ with Throne. 58cm x 22cm. Tempera on very old wood. Lie Down. 30cm x 22cm. Tempera on olive tree wood. St John the Forerunner. 40cm x 50cm. Tempera on wood panel. St Mercurius the Great, Martyr of Caesarea in Cappadocio. 24cm x 33cm. Tempera on wood. Annunciation. 50cm x 20cm x 2 pieces. Tempera on wood. Virgin Mary. 30cm x 42cm. Tempera on wood panel. Crucifixion. 43cm x 31cm. Tempera on wood. Christ. 30cm x 42cm. Tempera on wood. Salutation to the Myrhh Bearers. 53cm x 33cm. Tempera on wood. St Simeon, the God-Receiver. 43cm x 30cm. Tempera on wood. St Brendan the Navigator. 28cm x 34cm. Tempera on wood panel. Theotokos (Loving Kindness). Version 1. 32cm x 43cm. Tempera on wood panel. St George. 28cm x 39cm. Tempera on wood panel. Crucifixion with Two Standing Figures, Mary and John. 32cm x 42cm. Tempera on wood panel. St Simeon. 30cm x 42cm. Tempera on wood panel. Theotokos Version 2. 32cm x 43cm. Tempera on wood. Angel Gabriel. 27cm x 37cm. Tempera on wood.